Written by Peter J. Tomasi. Art by Doug Mahnke. Written by Kevin Smith. Art by Jim Lee. "The Legend of Knute Brody"
Written by Paul Dini. Art by Dustin Nguyen, Derek Fridolfs and John Kalisz. Written by Warren Ellis. Art by Becky Cloonan. Written by Denny O’Neil. Art by Steve Epting. Written by Christopher Priest. Art by Neal Adams. 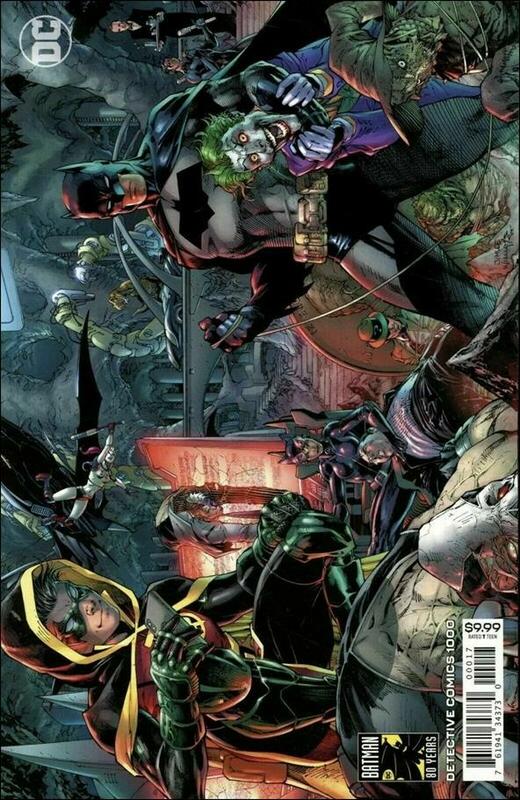 "The Last Crime in Gotham"
Written by Geoff Johns. Art by Kelley Jones. Written by James Tynion IV. Art by Alvaro Martinez. Written by Tom King. Art by Tony Daniel and Joëlle Jones. Written by Brian Michael Bendis. Art by Alex Maleev.